så du kan tilslutte din GPS eller andet udstyr nemt. 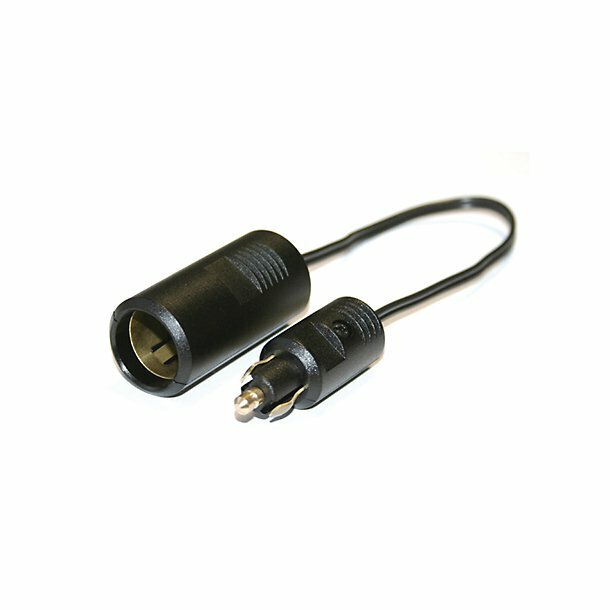 Cigarette Lighter receptacle with 20 cm cable and connector for 12 V DIN power socket. Suited for supplying your motorcycle cockpit with power, connects to the bikes 12 V electrical system.